Classic Split Shank Cathedral Engagement Ring | Shane Co. This sophisticated cathedral engagement ring features 22 round diamonds, at approximately .08 carat total weight, in a crisscross design at the profiles of the ring. The hand-matched gems are set in quality 14 karat yellow gold. Add the center diamond of your choice to complete this stunning piece. 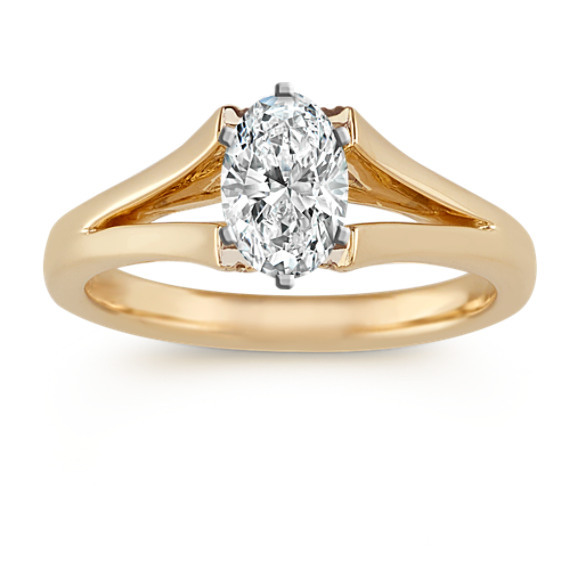 This engagement ring measures 6.8mm at its widest and 2.5mm at the band.